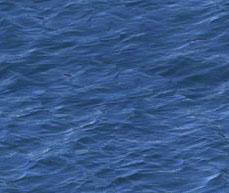 Aircraft of the U.S. Navy . 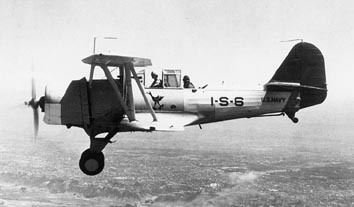 The Vought SBU-1 Corsair was a two seat, all metal biplane dive bomber built by Vought Aircraft Company of Dallas, Texas for the US Navy. Its design was based upon the F3U-1 two seat fighter that was abandoned when the Navy decided not to build any more two seat fighters. 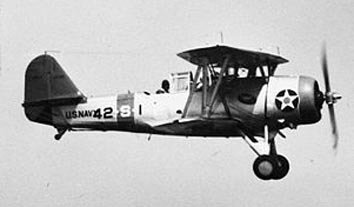 The aircraft was equipped with a closed cockpit, had fixed landing gear, and was powered by a Pratt & Whitney R-1535 radial air-cooled engine as had the F3U-1, but also included a controllable pitch propeller and a new NACA cowl with adjustable cowling gills on the trailing edge of the cowl. The adjustable cowling gills permitted better control of cooling airflow over the engine. The SBU-1 completed flight tests in 1934 and went into production under a contract awarded in January 1935. The Corsair was the first aircraft of its type, a scout bomber, to fly faster than 200 mph. Die Vought SBU-1 Corsair wurde zweisitziger Sturzkampfbomber von der Vought Aircraft Company of Dallas, Texas für die US Navy entwickelt. Das Design wurde auf der Grundlage der F3U-1, einem zweisitzigen Jäger entwickelt. Die Maschine hatte ein geschlossenes Cockpit und starres Fahrwerk und wurde von einem Pratt & Whitney R-1535 Sternmotor angetrieben. Der Motor hatte eine neuartige NACA Haube mit Klappen und einen Verstellpropeller. Die verstellbaren Klappen dienten der besseren Kontrolle der Luftzirkulation um den Motor. Die Tests mit der XSBU-1 wurden im Juni 1943 abgeschlossen und die Maschine wurde ab Januar 1935 produziert. Die SBU-1 war das erste Flugzeug weinerArt, ein Scout-Bomber, der schnelle als 300 Km/h flog. Zudem war die SBU-1 der letzte Doppeldecker den Vought für die US Navy produziert. Basisversion mit einem Pratt and Whitney R-1535 Motor. Verbesserte Version mit einem stärkeren Motor.